Unfortunatelly snowing out of season at around Fujimi panorama today. 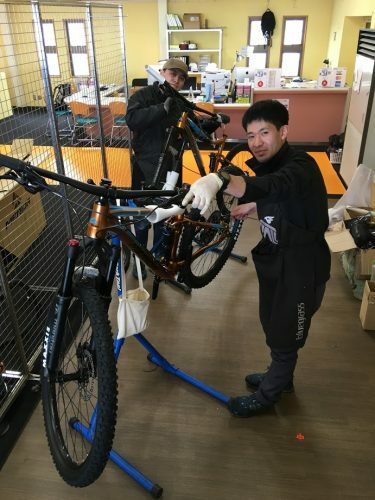 But, we made starting to builuding rental bikes for this season. We pleased to announce that one more mechanic has joined this season. 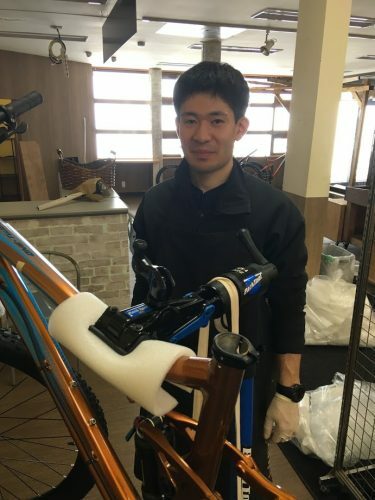 He has bicycle safety professional mechanic license.